Davitt Lamon is an Architectural Technologist & BIM Coordinator at C+W O’Brien Architects. Davitt has gained significant experience of BIM on projects and provides unique insight into BIM in the Irish Construction Industry, having been one of the early undergraduates to enter the workplace with a BIM skillset in high-demand. 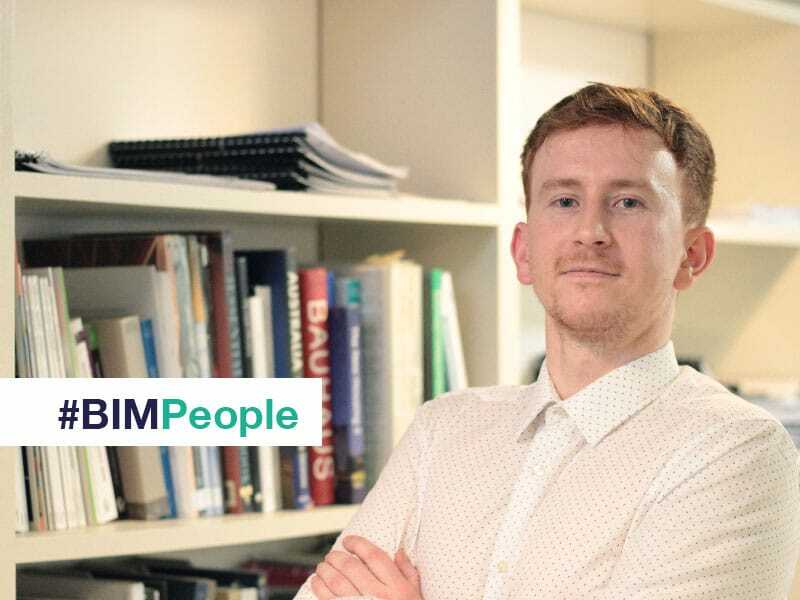 A graduate of Dublin Institute of Technology’s BSc in Architectural Technology, Davitt has significant BIM experience and is currently in his final year of a part-time MSc in applied Building Information Modelling & Management. Here he tells us about his experiences. Can you tell us about your work as an Architectural Technologist & BIM Coordinator at C+W O’Brien Architects? I joined C+W O’Brien Architects 3 years ago as an Architectural Technologist & BIM Coordinator, just as the company began to adopt BIM and embed design technology within their workflow. Working as a technical designer in multidisciplinary and collaborative design teams, my role involves the integration of architectural and construction technologies in the building design process. C+W O’Brien Architects are a part of the Corstorphine + Wright Architects Group, and an Architects’ Journal Top 100 practice. My first BIM related role with C+W O’Brien was as a member of its BIM Steering Committee, set up to oversee the implementation of BIM across all 10 affiliated offices. Day-to-day, my role involves liaising with both internal and external design team members to ensure the coordination of all necessary information, and using that data for a number of purposes such as visualisation, clash avoidance, quantification and the production of 2D documents. Our office has a very talented BIM Manager, Calogero Marino, who looks after a lot of our information management, this allows me to focus more on design technology and incorporating new software and processes into our workflow to give us a competitive edge and add value for our clients. Design technology is an area that I am very interested in and thankfully get to explore. In 2017, C+W O’Brien Architects launched its R&D lab aimed at trialling and developing new technologies. 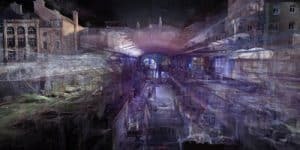 With great success this has led to the automation of a number of our tasks, the introduction of data analytics to gain insight into our models and the addition of AR/VR deliverables for our clients. Most notably, and with assistance from Enterprise Ireland, we have been able to partner with a research institute and gain funding for the development of our own Mixed Reality application. These efforts resulted in C+W O’Brien being shortlisted for the BIM Initiative of the Year at last year’s Irish Construction Industry Awards. Please tell us about your BIM education and training at Dublin Institute of Technology? I was first introduced to BIM eight years ago as an undergraduate studying Architectural Technology at DIT. I believe I was a part of the first cohort of students to deliver technical design and project work with BIM authoring tools, as opposed to CAD or 2D based programmes. This led to myself and many other students becoming Autodesk Certified Professionals in Revit Architecture during the course, something which was facilitated by the college and I have found to be very valuable. However, it wasn’t until after graduation and I began working on live projects that I saw the real benefits of information management and BIM processes. I soon identified this as an area that I wanted to pursue further and returned to DIT part-time to enrol in their MSc in applied Building Information Modelling & Management. With an already strong foundation in BIM technologies for architecture, I chose to go down the route of BIM for surveying and construction management with a crossover module in geomatics. After the initial technology classes, the course goes on to cover the entire collaborative BIM process, while allowing students to work together on an applied BIM project from start to finish before culminating in a capstone experience. Entering my final year of the programme now I must say that I have really enjoyed it and would recommend it highly, particularly the staff and the guest lectures. What is your opinion of BIM education and training in Ireland? I would consider Ireland to be a world leader when it comes to BIM education and training. This opinion is reflected by the results of the BIM Innovation Capability Programme which suggested that Ireland’s HEIs have responded rapidly to a demand by industry for BIM related education and training programmes. The establishment of the BIM Academic Forum Ireland, similar to that of the UK’s, is also very promising and hopefully will ensure the future development of BIM education in Ireland. However, if there was one area that I would like to see progressed further it would be the collaboration between disciplines at an undergraduate level. In the last few years, I have noticed a rise in the number of companies opting to introduce their own BIM training programmes. At C+W O’Brien Architects, we provide a mentoring programme and peer-to-peer learning where staff members are encouraged to share their skills and knowledge with one another. More recently we have started a CPD programme, with modules that give staff a structured approach to acquiring new software skills and a wider understanding of BIM processes. Aside from architecture firms, have your classmates from Dublin Institute of Technology gone to work in other areas e.g. contracting, specialist design? Definitely. Although predominantly architectural practices, I do know a large number of technologists who have joined engineering firms, leading contractors, county councils, technology companies and educational institutions in Ireland and further afield in countries such as New Zealand, Australia, Canada, America, UAE, and the UK. Their positions are wide ranging too, and include construction managers, site foremen, surveyors, 3D modellers, and other various BIM related roles. It really goes to show just how applicable the skills of an architectural technologist are to the construction industry and the calibre of professionals that Ireland produces. Are young Architectural Technologists with BIM training aware of the great demand for their skills and the opportunities available to them? I do believe they are, with the current high employment rate for ATs many are even being recruited before graduation. Although, I don’t believe that many are aware of the true value of their skillset. With the right encouragement young architectural technologists have the potential to make a big contribution to any workplace. Can you tell us about the main projects on which C+W O’Brien Architects have utilised BIM? C+W O’Brien Architects are at a stage now where we deliver all projects via BIM processes and technologies to a level which is best suited to our clients’ needs. We have recently completed an industrial project on site with Dublin Port Company, and are nearing the end of the first phase of 283 residential units with Ballymore. After a number of consecutive straight grants of permission in 2017, this year we will be going to construction with some very high-profile BIM projects including two hotels in Dublin city centre, student accommodation schemes in both Dublin and Galway and an exemplary office fit-out. Our pipeline of work also includes a number of large-scale mixed-use residential developments, masterplans, student accommodation projects, fit-outs and data centres. There are also a number of BIM projects in the UK that have really allowed us to push out the boundary of our capabilities. 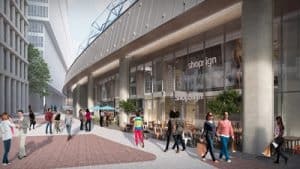 These include a 25-storey student accommodation scheme in Cardiff, another in Glasgow and the conversion of the lower levels of the former Waterloo International Terminal in London for retail and leisure uses to create a vibrant new destination at the heart of the UK’s busiest train station. Thankfully the opportunity to work on a large number of BIM projects has given us the foundation needed for our Level 2 BIM accreditation, which after a positive gap analysis we hope to receive in the coming months. What have been your main experiences when collaborating on BIM projects and have you noticed project team members adapting to BIM over a learning curve? From my experience, there are usually two main factors which contribute to successful collaboration on BIM projects and they are good communication and transparency. Good communication ensures that project teams are aware of what is expected of them and when, and if any issues arise they are quickly resolved. The transparency of why information is produced allows authors to ensure that their deliverables are fit for purpose, and when design team members have a wider understanding of the project team’s progress it often promotes trust. Given the opportunity, I have found that project team members adapt to the learning curve of BIM very well. A recommendation that I would have is to use the results of the Supply Chain Capability Summary to identify possible training needs and set aside the time for upskilling. How do you see BIM roles changing in the near future and is there a need for standardisation of education and training and the more clear definitions of roles? I definitely agree that there is a need for standardisation of education and training and the clearer definitions of roles. Without, there exists a multitude of titles for the same role which causes confusion and those performing a role who may not be qualified to do so. There was a really good paper published by Malachy Mathews of DIT titled ‘Defining Job Titles and Career Paths in BIM’, here Malachy proposes a system to clarify for industry BIM Titles and to clarify for 3rd Level education some career paths. With more HEIs incorporating BIM into their syllabus at undergraduate level and as project delivery with BIM authoring tools becomes the norm I see the title BIM Technician slightly fading away, with these tasks being incorporated into more traditional construction roles. Similarly, BIM coordination duties may just become the responsibility of the lead designer or project manager. However, I do see the role of BIM Manager lasting and as an area of career progression and further study at master’s level. In your opinion how do you see BIM changing the role of the Architectural Technologist and graduates’ employment opportunities? Architectural Technologists are well suited to become industry leaders in BIM and have embraced it well. With BIM being a cross-discipline and collaborative process, the knowledge of design, construction and technology is a major asset and a great foundation. A possible change to the role of the Architectural Technologist may be a divergence in specialism between building technology and design technology. The industry uptake of BIM has certainly made graduate ATs more employable. With undergraduate architectural technology courses being one of the first to adopt BIM into their curriculum more and more companies from disciplines other than architecture are turning to ATs for their skillset. Can you please tell us about your activity in the Irish BIM Community? In the Irish BIM Community, I try to attend as many presentations as possible. I get a lot out of them and it’s a great way to network and see how others in Ireland and abroad are delivering projects. I have also presented myself at the RUIG events on the use of Dynamo and visual programming. I find knowledge sharing a great way to get feedback on your own processes. In addition, I act as the student representative on DIT’s MSc in applied Building Information Modelling & Management programme committee. You regularly attend CitA events. Who were the most impressive or memorable speakers at CitA events over the past year? I always find the BICP updates by Dr Barry McAuley and Dr Alan Hore very impressive, I believe the programme to be incredibly beneficial for both the Irish Construction Industry and at a global level. I also take every opportunity I can to attend presentations that explore how emerging digital technologies can be applied to the construction industry. For me at this year’s CitA BIM Gathering that was Malachy Mathews’ presentation on BIM + Blockchain, Hamed Khademi’s research into intelligence-assisted design and Skanska’s insight into their workflows. The most memorable speakers for me though were Louise Kelly and Pam Bhandal of Women In BIM and their keynote on the need for diversity. In my opinion, approaching BIM from a cultural point of view is what’s needed in order to make real change. What is your advice on BIM and related training for undergraduates who have little experiences of the industry? For undergraduates who might not have much industry experience, it is very valuable to gain recognition and proof of ability for the skillsets that they do have. Regarding BIM, short courses and certification for BIM authoring tools are a great start and a real stand-out for employers. I’d also suggest putting a portfolio together to illustrate skills. What advice would you give to an architect, architectural technologist or technician wanting to upskill in BIM? My advice would be to start with the BIM technologies, learn to collaborate and once you’ve developed good software skills to progress onto information management and BIM processes. In Ireland, there are many funding options available to assist both businesses and individuals wishing to upskill in BIM which is good. With initiatives from Enterprise Ireland, CitA Skillnet, and Springboard+ those wishing to make their digital transition are supported to do so.